The intersection of Central and Lowry Avenues in northeast Minneapolis is bustling. On the northwest corner is a trifecta of local businesses: A bike shop, a cooperative brewery, and a bakery, in buildings with eye-catching exteriors of rough-hewn wood and silvery porcelain bricks. The neighborhood grocery coop is one block up the street. In 2011, a group of dedicated neighbors came together to change that. In November of that year, five of them, including Watson, became the founding board of the Northeast Investment Cooperative, a first-of-its-kind in the U.S. cooperative engaged in buying and developing real estate. NEIC created a structure where any Minnesota resident could join the coop for $1,000, and invest more through the purchase of different classes of non-voting stock. The group began spreading the word to prospective members, and started looking for a building to buy. 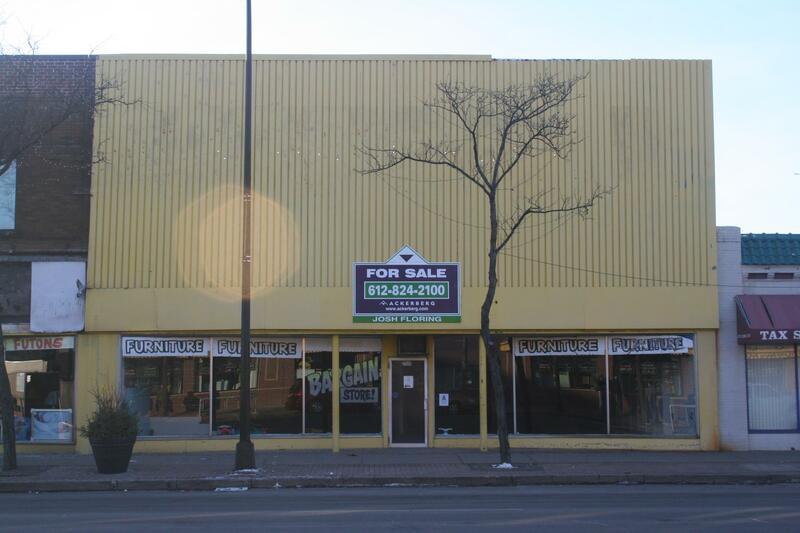 One year later, NEIC had enough members to buy the two buildings on Central Avenue for cash. 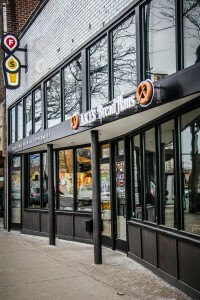 The coop quickly sold one of the buildings to project partner Recovery Bike Shop, and after a gut renovation, which it funded with a 2 percent loan from the city and a loan from local Northeast Bank, it leased the other building to two young businesses that had struggled to find workable space elsewhere, Fair State Brewing Cooperative and Aki’s BreadHaus. Today, NEIC’s impact spreads beyond the intersection of Central and Lowry. It’s catalyzed the creation of new jobs, engaged its more than 200 members in reimagining their neighborhood, and given residents a way to put their capital to work in their local economy. While NEIC is unique in the U.S., similar investment cooperatives are sprouting up in Canada, where they’re aided by programs designed to help them grow, as well as favorable policies. Though the model is new, and small, it holds outsize potential for the many communities struggling with northeast Minneapolis’s familiar set of problems, from business districts languishing half-vacant, to essential commercial spaces being controlled by far-away landlords or big retail chains with no regard for neighborhood needs. 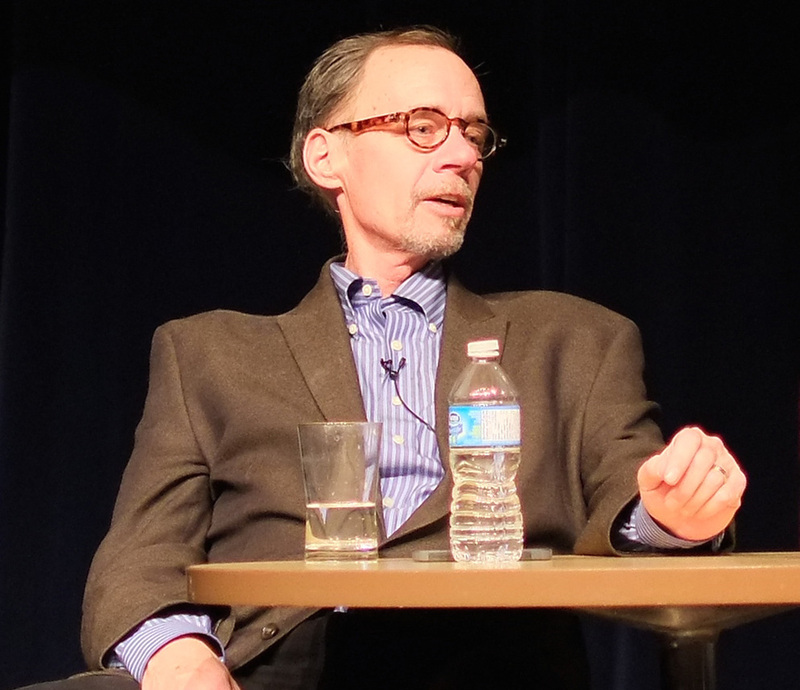 In the vacuum left by both traditional economic development and Wall Street’s approach to finance, community real estate investment cooperatives offer a glimpse of a better way to channel capital, with benefits that include new jobs in the neighborhood, strong incentives for people to shop locally, local sources for key goods, closer ties with neighbors, and a return on investment. Inside Sangudo Custom Meat Packers, which has grown from two to 14 employees since the Sangudo Opportunity Development Cooperative bought the building and helped the business transition to new ownership. In May 2010, 22 founding members incorporated the Sangudo Opportunity Development Cooperative, with a basic structure of the one-member-one-vote cooperative principle, a membership share costing up to $1,000, and the option of additional investment up to $10,000. With this model, SODC raised $220,000 in member capital in its first day. Today, the coop has grown to 29 members. For its first project, SODC looked to what its town already had. The owner of the meat packer in town had been trying to sell and retire, but struggling to find a buyer. SODC stepped in to buy the building, and two SODC members with butchering knowledge took over the business. The next year, the cooperative purchased a second building for project two, and helped a new business, a coffee shop, start up there. For its third project, SODC raised capital to help Sangudo Custom Meat Packers match two government grants for an expansion. Today, the meat shop has purchased its building from the cooperative, grown from two employees under the previous owner to 14, and become an essential piece of the rural economy, processing animals from a wide surrounding area and selling the local meat to top restaurants in Edmonton. Now, four-and-a-half years after SODC incorporated, it’s purchased three lots to begin project four. Today there are seven Opportunity Development Cooperatives in Alberta, engaged in a range of projects, from a bakery, to a mechanic, to senior housing. Crucially, 90 percent of the funds raised so far have been through investments from self-directed retirement plans. A vacant storefront that now houses the Fair State Brewing Cooperative and Aki’s BreadHaus. After forming the Northeast Investment Cooperative in 2011, neighbors purchased, rehabbed, and leased the building. Long before NEIC had purchased and rented out its buildings, it still had startup costs—the lawyer, the real estate broker, the architect—but the cooperative hadn’t been set up to pay for those things from the initial capital investment. In order to make it viable, the early members and the founding board pitched in their own skills for everything they could, from the website, to the project management, to the stacks of paperwork. NEIC also got creative—some of the contractors who rehabbed the buildings became members of the coop, and were paid in non-voting stock. Watson estimates that in the startup phase, there was always someone putting in 15 or 20 hours of volunteer work every week. In Sangudo, that relationship was reinforced by the terms of the leases that the cooperative arranged with the businesses renting from it. With the meat packer, for instance, the two agreed on a low monthly rent—“low enough that they could make it even in slow times,” says Ohler—plus a percentage of gross sales. With this set up, “The more we could support them, the more they would make, the more they could pay back to SODC,” explains Ohler. In giving themselves a financial stake in the meat packer’s success, the cooperative members also gave the meat packer loyal customers and marketers. 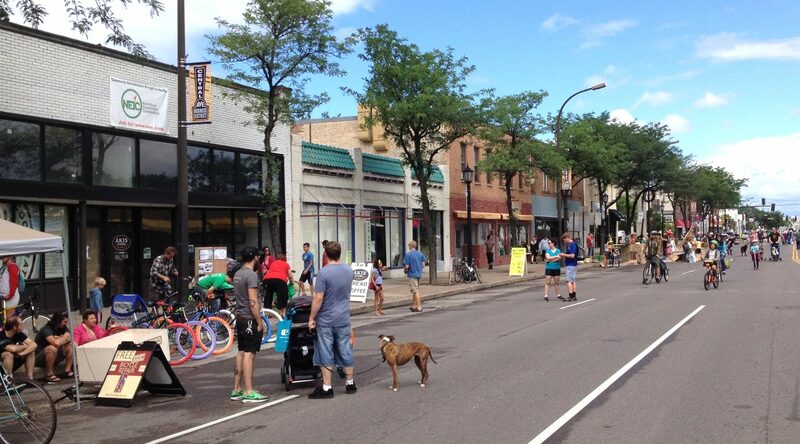 A neighborhood event along a revitalized section of Central Avenue in Minneapolis, where the Northeast Investment Cooperative has renovated several buildings and helped seed new businesses. While the investment cooperatives that have formed in Minneapolis and Alberta have relied primarily on the resources of the communities starting them, both initiatives have also benefited from favorable state and provincial policies. Building on these policies, and expanding them, could open the way for this model to scale up and spread. “I think when you work in social justice and economic justice, it’s not your first thought that you want to benefit the small business community, but actually the small business community is so important,” says Watson. In Sangudo, the SODC’s first two years brought with it strong returns; at the end of year one, Sangudo Custom Meat Packers generated a 6.3 percent return for the cooperative. Over the past two years, however, the coop has restructured in order to become an option for self-directed retirement plans, and professional fees to lawyers and accountants have resulted in lower returns. That legacy is one aspect of the investment cooperatives’ indirect returns. In Sangudo, the meat shop has created a dozen new jobs, and the restaurant has hired at least five. The restaurant has become a hub of the community, where 40 people gather at breakfast time. The meat-packer serves farmers who come from miles around to process their livestock. While they’re in town, they pick up some stamps, or refill on gas. Fair State Brewing Cooperative and Aki’s BreadHaus today, in the building owned by NEIC.